The oil is extracted from the roots using the steam distillation method. 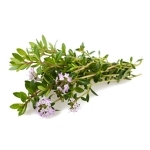 Strengthening, rejuvenating, anti-inflammatory, anti-fungal, deodorizing, anti-bacterial, calmative, sedative. laxative and tonic. Native to China but now produced in many countries worldwide including Argentina. It's name comes from Tangier in Morocco which was the first port involved in shipping the oil to Europe. The oil is cold expressed from the peel of the fruit. Antiseptic, antispasmodic, cytophylactic, depurative, sedative, stomachic and tonic. 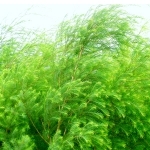 The oil is obtained by steam distillation of the twigs and leaves of the Tea Tree. Anti-inflammatory, antiseptic, antiviral, bactericidal, cooling, fungicidal, immuno-stimulant, sudorific, vulnerary, tonic. Native to the Mediterranean and Spain but now found throughout Asia, central Europe, China, Russia, USA, Turkey and Tunisia among others. The essential oil is mainly produced in Spain. Antimicrobial, anti-oxidant, antiseptic, antispasmodic, astringent, aphrodisiac, bactericidal, carminative, diuretic, emmenagogue, expectorant, fungicidal, parasiticide, stimulant and tonic. 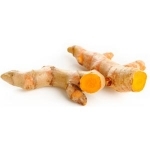 Major produced in South Asian countries which provide appropriate weather and soil conditions for the Turmeric plant to grow. 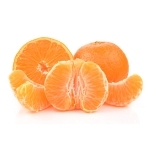 Anti-oxidant, bactericidal, anti-fungal, anti-allergenic, anti-viral, antimicrobial and anti-inflammatory. 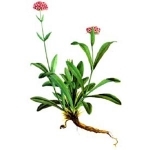 High in vitamins especially Vitamin C.
Valerian plant is native to Europe, North America and northern parts of Asia. 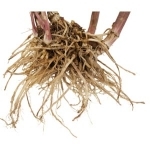 Valerian Root essential oil is the volatile oil obtained by steam distillation from the root of the Valerian Plant. Stress realising, calming and relaxing, antispasmodic, anti-inflammatory, tranquilizer and temperature reducing. Bactericidal, antidandruff, hypotensive as well as a depressant on the central nervous system. A perennial herbaceous climbing vine that can grow up to 25 meters high and is native to Central America and Mexico. This oil is mainly manufactured in the UK. 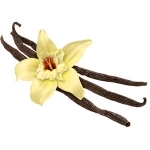 The green capsules or fruit are picked and cured and the immature Vanilla pod or bean is fermented and dried to turn it into a fragrant brown vanilla bean where the extract is taken from. Extracted Boosted. Antidepressant, soothing, sweet and delicious scent. Native to southern India, Sri Lanka and Indonesia. 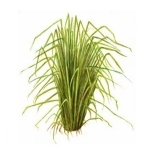 The essential oil is obtained by steam distillation of the dried root of the plant. Antiseptic, antispasmodic, sedative, stimulant and tonic. 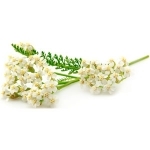 Yarrow essential oil originates from France and Hungary. Yarrow essential oil is extracted through the process of steam distillation from the plants leaves and flowering tops. Antiseptic, relaxing, stress releasing, anti-inflammatory, antiseptic, hypotensive, carminative, diaphoretic, digestive, stomach and tonic substance. 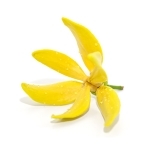 The flowers are steam distilled as quickly as possible after harvesting to produce the essential oil. Aphrodisiac, antidepressant, antiseptic, euphoric, hypotensive, sedative, stimulant and tonic.